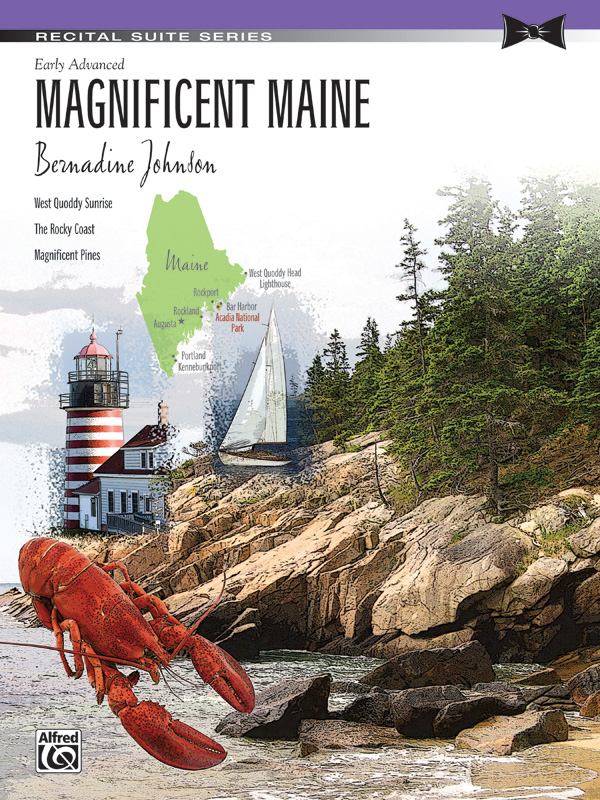 * Magnificent Maine celebrates the unique features of the state of Maine and its coastline. * West Quoddy Sunrise opens the suite with a musical depiction of a gorgeous sunrise over the West Quoddy Head Lighthouse. * Filled with a sense of wonder and beauty, this expressive movement is lyrical from the first note to the last. * The jagged coastline is depicted in the second movement, "The Rocky Coast." * Intense dynamics and large chords outline the rocks and waves that crash upon them. * The third movement, "Magnificent Pines," concludes the suite with majestic chords and a full, rich sound that befits the state known as "The Pine Tree State."